Our educational approach sees the student as an active learner, a dynamic explorer rather than a passive recipient of knowledge. As such, our curriculum cultivates the student's natural enthusiasm for learning, so that s/he emerges with the values, knowledge and pride necessary for a solid foundation of life-long Jewish living and learning. Our lessons are multi-sensory and interactive, ensuring that the students truly experience what they are being taught. The classes are structured with discussion-starters, activities, visual aides and crafts to create an engaging classroom experience. We are proud to offer our new course in Hebrew language—where the students will not only learn to read and write Hebrew but learn to converse in Hebrew. The program is based on the notion that the best learning environment is one which knowledge is acquired through a variety of activities , using each of the five senses. In addition to studying from textbooks, students use music, games and visual aids to learn the Hebrew language. 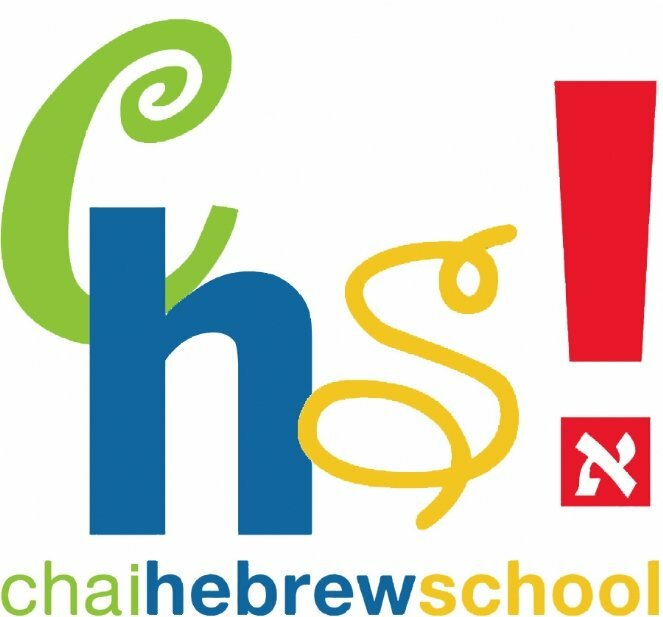 Our Hebrew speaking teacher will work with the children each week to develop their ability to communicate in Hebrew through a variety of exciting activities. The children will be introduced to the characters and stories of the Bible. An overview of Jewish history starting with creation to the giving of the Torah to modern day Israel will be taught through interactive stories and art projects. The students will gain an appreciation for our heritage and culture that has been preserved throughout the ages. They will study the Torah Portions, providing them with practical lessons that apply to our daily lives. They will also attain affection for the uniqueness of Israel, our homeland. Using age-appropriate textbooks students will read and discuss real stories and case scenarios that have practical application to our everyday life. They will understand that our religion is based on a G‑d given set of values and morals and that the “norm” is not always right. Holidays at CHS are always fun, vibrant learning experiences. Through various mediums of art, drama, cooking and more, students experience the full flavor of joyous Judaism. Children will learn the “what, when and how” that will make Jewish holidays all the more meaningful, personal and enjoyable. Chai Hebrew School will also host holiday celebrations for our students and their families. Students learn basic Teffilot (prayers), including Modeh Ani, Torah Tziva, Ma Tovu, Adon Olam, Shema and Ein Kelokeinu, as well as some songs associated with holidays, daily prayer and Jewish life. Our goal is for our students to receive the tools they need to comfortably participate in the service at their respective synagogue.